The Fingertip Design FTD800 brass cabinet hinge is available in 2 sizes, a 50mm x 28mm x 1.5mm and the more common 64mm x 35mm x 2.0mm. Manufactured to compete with the more traditional English made version, they are good quality and very competitively priced. Whilst available in self colour brass and polished brass the FTD800 cabinet hinge is also available in antique brass, polished chrome and satin chrome. Each pair of hinges is packaged with the appropriate slotted screws in a matching finish. 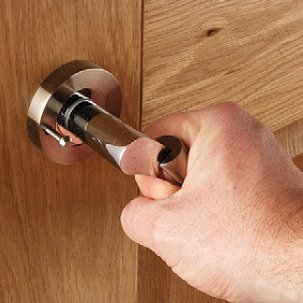 The 64mm hinge is commonly used by bespoke kitchen makers and both the 50mm and 64mm hinges are ideal for built-in furniture. The Fingertip Design cabinet hinge is a kitchen essential for traditional hand-built kitchens and in paricular framed doors.